In early April I followed Kurt-Olof Edström to check out a capercaillie game. 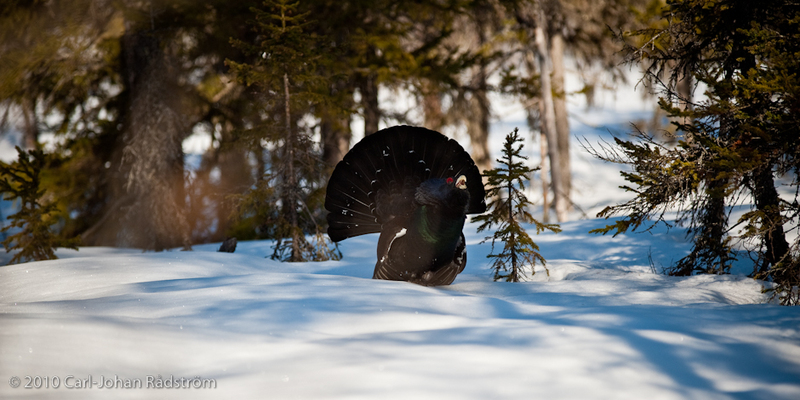 The male capercaillie is aggressive and attack everyone who comes into their playground at spring. I also would point out that we not tried to and wanted to hurt the capercaillie in any way. The capercaillie is formidable at close quarters. And it was an experience I will not forget!